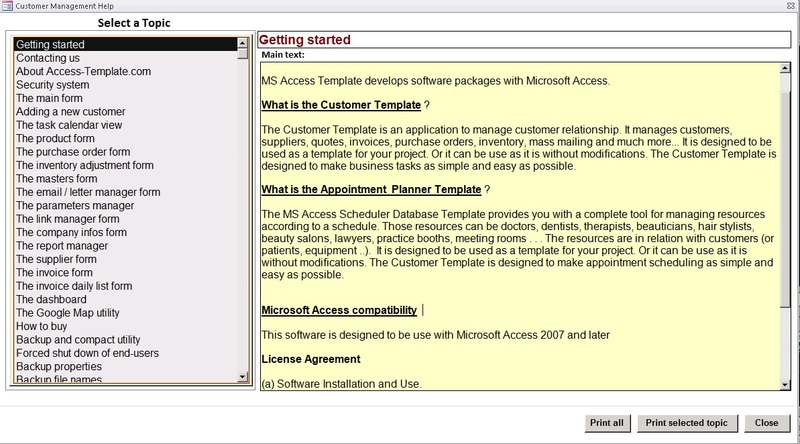 I will purchase a License (on your behalf) for a CRM written in Microsoft Access in any 32bit version from Access 2002 onwards, 64 bit will be available soon. The license includes a demo version of the program which you can use to decide what customisation is required to meet your needs, the URL to the demo download site will be provided on purchase of the Hourlie. 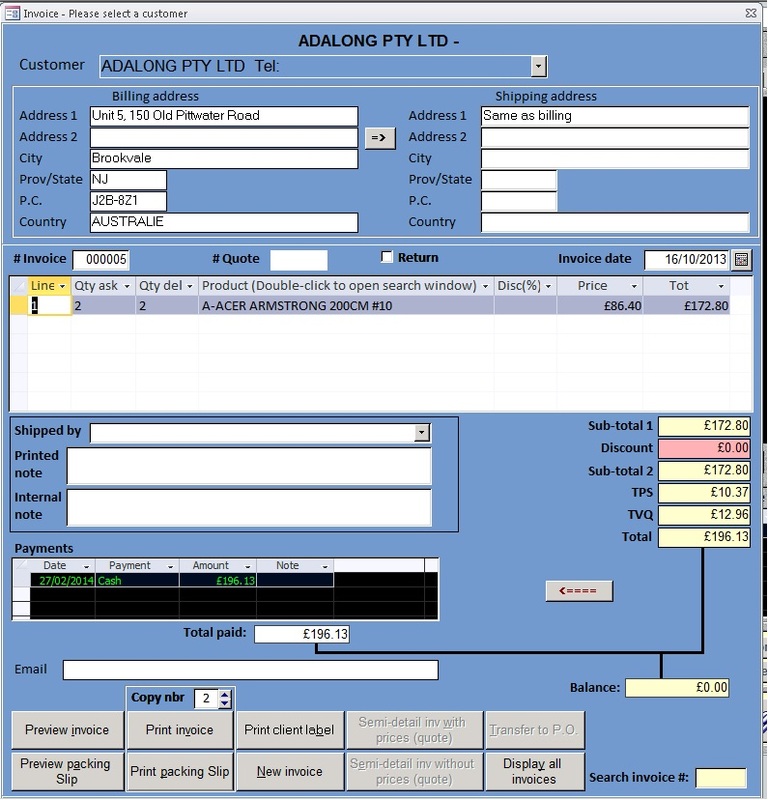 I will customisation the database to suit your needs for up to one day and afterwards deliver any options that you have chosen. A minimum screen resolution of 1280 by 1024 is recommended. The Access source code of the CRM will be yours to keep. 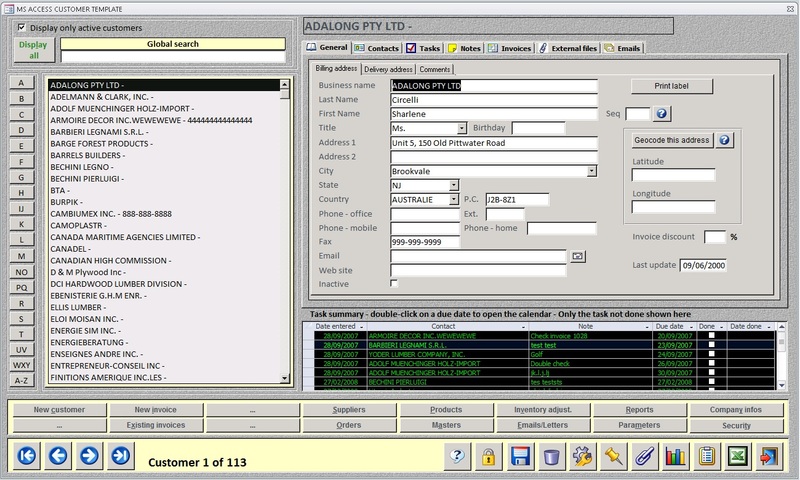 •Create quotes and transfer them to invoicing. •Create quote models that you can re-use to save time. 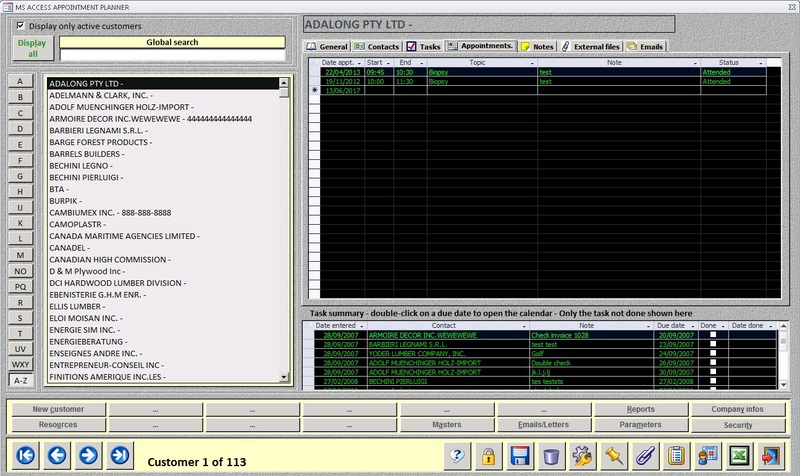 •Work with a window displaying your invoices for the day. 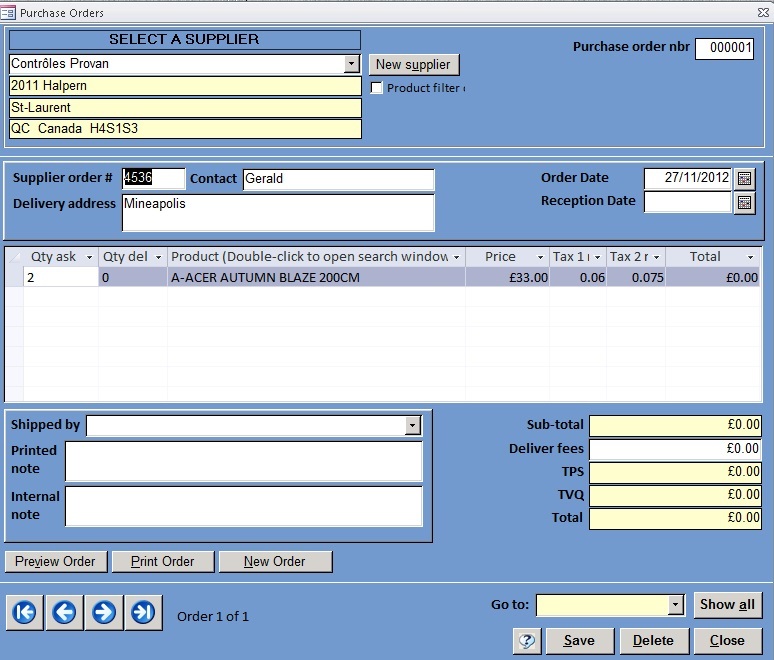 •Print or preview invoices or Packing slip. •Display users who are logged in to your backend database. •Link manager for your connection to your backend. Easily change your link to a different backend database. •Security system with login and password. 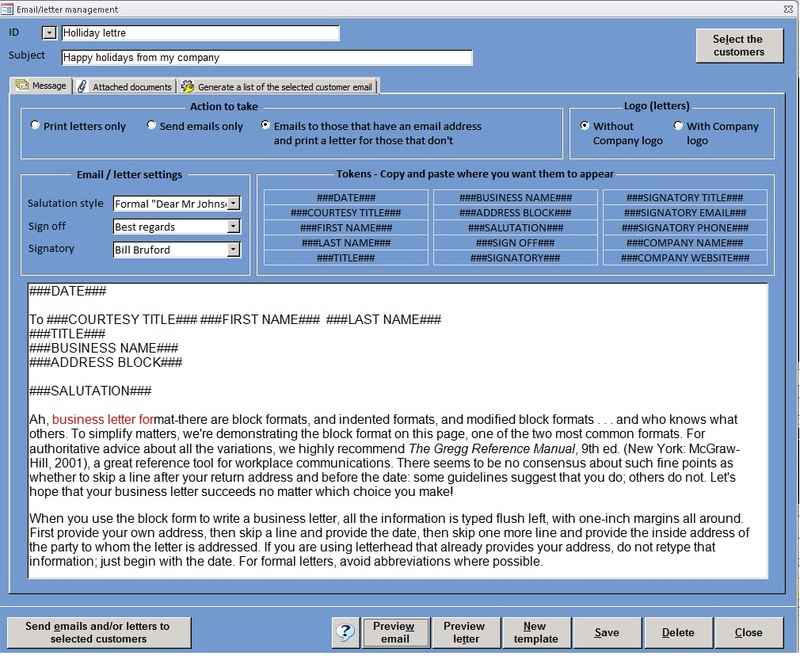 •Attached external documents to your product for specifications or anything else. 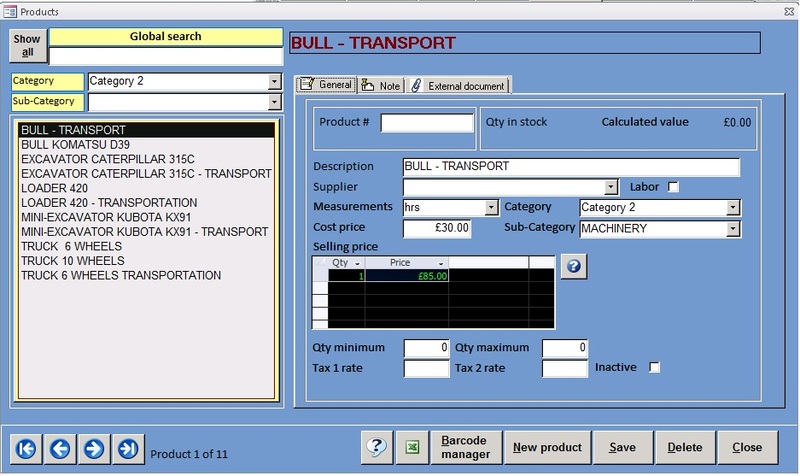 •Barcode manager for your product. •Email/letter management. Built an email list. Send personalized emails and letters. •Manage any images that you want to link to a customer. 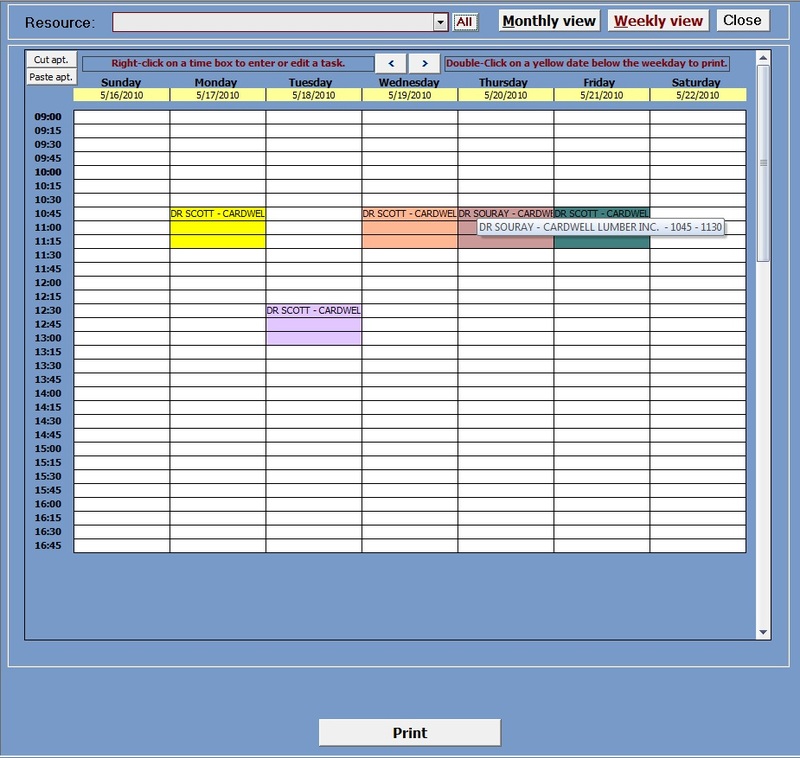 •Manage resources to use in a schedule form. 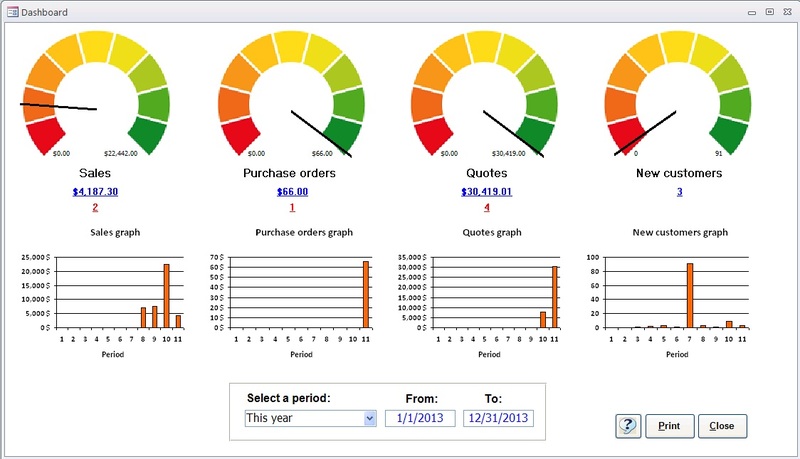 •Manage a schedule based on customers and resources. Which version of Access you require to use. Contact details of person responsible for installation on company pc's.